The macaron I used to know is made up of desiccated coconut and is baked like cupcakes. But a few years ago, I was introduced to the French macaron, which instantly became my favourite. 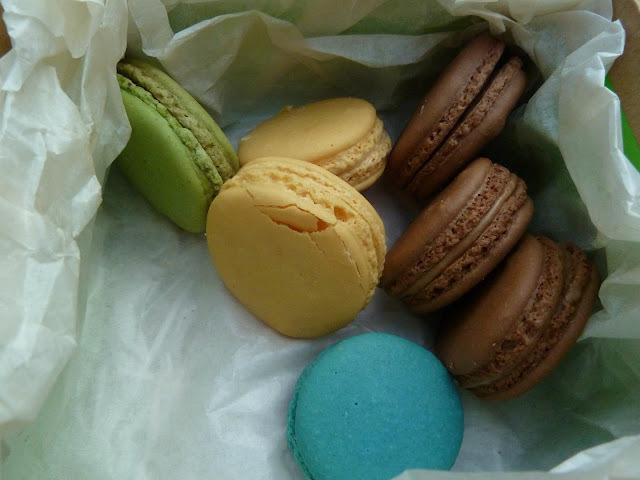 Honestly, I have only ever tasted the macarons from Laduree and the Turkish shop in Piccadilly Circus. Until of course a month ago when I touched base with an old friend A.
I came across her macarons through her sister's instagram. The photos looked very convincing that those macarons are a "must try". So I immediately contacted A and asked her how to get hold of those yummy-looking macarons. Luckily, we now both in London so it was easy to meet up. For a "taste-test", I ordered pistachio, malteaser, salted caramel and yema. A added two blueberry for me to try. Sorry Laduree, but I now have chosen Petit Sarap over you. Not only that it's cheaper of course, but it's also less sweet yet flavourful. I also like the fact that they're incorporating Pinoy flavours- gives me more reason to buy. I know they're only new to the world of macarons, but watch out for these girls because they can give Laduree a run for their money. One day. But serioulsy, Petit Sarap's macarons are worth a try. Recently, they introduced Ube to their flavours and although it's also good, I like the yema flavour better. So far, our favourite is pistachio. I have made three sets of orders so far and I will definitely be one of their regular customers. 7 out of 16 macarons in 10 minutes. 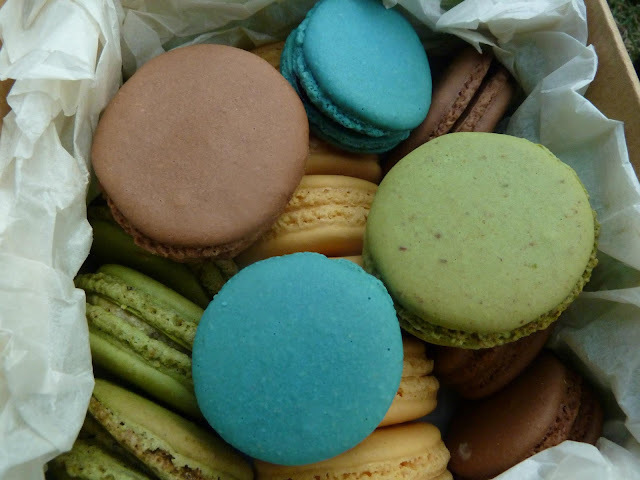 If you're looking for a treat, try Petit Sarap's macarons. You will not be disappointed.